Superb service as always! Would highly recommend them as the go to longboard shop in the country, great customer service and no request is too much! 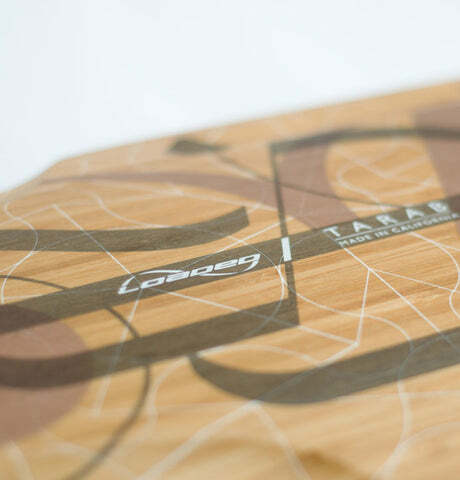 The latest in a long line of Loaded dancing boards, the Tarab features a ton of rider input and the latest longboard tech to create the ultimate longboard dancing board. 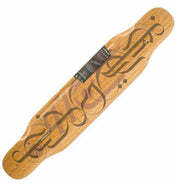 Starting with the Loaded Dancer in 2008, and the Bhangra in 2010, Loaded have pioneered longboard dancing specific decks. 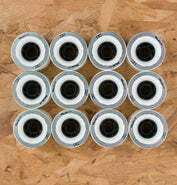 The Tarab is lighter, more durable and features a refined shape and concave to allow you to push your dancing further. You don't want a lot of concave for dancing, so the Tarab features a very mild rocker profile and a mellow concave, with subtle kicktails. A custom griptape job leaves a space for free footfork in the middle of the deck, with grip at the nose and tail for when you need it. 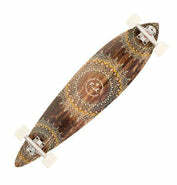 Bamboo, cork and basalt construction keep the Tarab lively, durable and lightweight. Unlike Loaded carving boards, the flex isn't too springy - perfect for flowing footwork and freestyle dancing moves. 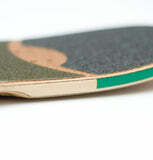 If you're into your longboard dancing then you'll know just how much abuse a dancing deck needs to withstand! Loaded know this too, and have reinforced the nose and tail with urethane. The rails of the deck get a smaller UHMWPE section too. 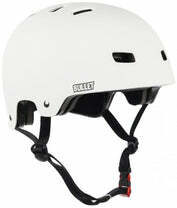 The Loaded Tarab is available in two flexes. We recommend that you choose your flex based on your weight, then adjust to suit your riding style - for example, if you are a lighter rider in the Flex 2 range, but really throw your board around, it might make sense to go for the stiffer Flex 1 to make your deck last longer. The Premium Complete comes with the world's favourite slide wheel - the Cult Chronicle - paired with superlight Sabre Forged Freeride Trucks.This is about as tasty as longboard dancing setups get! The Classic Complete gives you a full Loaded complete at a slightly more affordable price tag, with Sabre Standard Trucks and Cult Classic 66mm wheels. Both completes are built with Sabre Trucks Built-In Race Bearings and finished off Loaded's own griptape pattern, optimized for dancing moves. The Premium Complete setup I bought is so much fun! This setup is more expensive than others you'll find on Vandem's site, but I'm so glad I went for this having skated it a while now before leaving this review.. The deck itself is a work of art. I leave it on display against the wall in the lounge, where it looks like a nicely crafted piece of furniture. The deck's nicely reinforced so should last better than cheaper decks. It feels well balanced and is not shaped too aggressively for dancing/freestyle, with just the right amount of flex and pop (I weigh ~80kg and chose flex 1). Really long dancing boards have a tendency to feel soggy once you start weighting, carving, and landing on them, but this is reassuringly stiffer without being completely rigid. I'd never skated on Cult Chronicles but am enjoying them. They feel grippy but can still slide when needed. 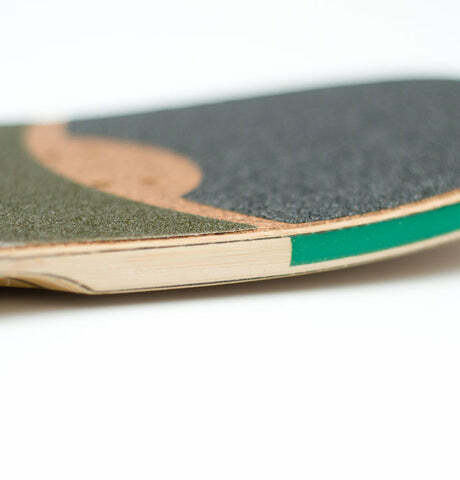 They also match the green parts of the deck perfectly, so it was a smart choice for Vandem to pair them like this. 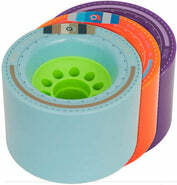 They have a centre-set core, which makes them stick out less than offset wheels like the Cult Classic or Orangatang Fat Free. I thought this might make the setup less stable but haven't noticed any difference over the Fat Frees I've skated in the past. The Sabre Forged Freeride Trucks feel super light, which is perfect for freestyle and dancing where you want the board in the air and not stuck to the ground all day long — the board spins more easily and cleanly than with other setups I've skated, and it's clear the trucks play a part in that. 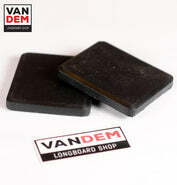 Vandem shipped the setup ready-built to Austria for me and it arrived in good time without a scratch. They'd taken great care to package it well and I'll be buying from them again.